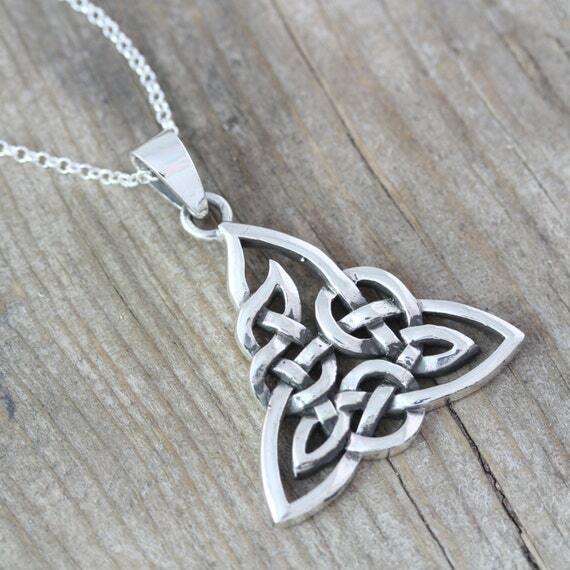 In conjunction with my new release from Ellora's Cave, I'm giving away a sterling silver handcrafted necklace with a Celtic triquetra design very similar to what Seth and Simon are branded with in Enthralled in Silver. Created by Monique, the owner of the Etsy shop LifeofSilver, it's on a sterling silver 18-inch rope chain, and the pendant is sterling silver as well. All you have to do for a chance to win is leave a comment on any post made in my blog from now through the end of the month. On March 1, I'll select a winner at random from everybody who's commented.